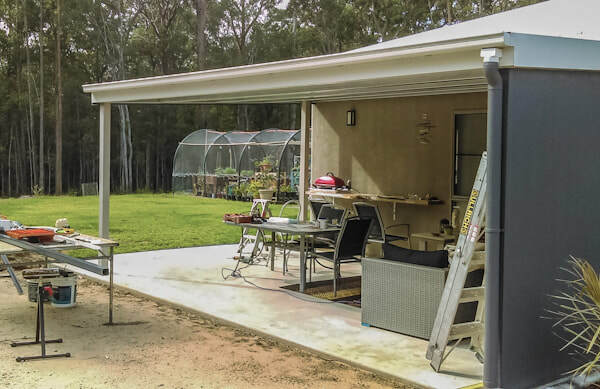 ​Make your outdoor spaces more liveable with a custom patio enclosure. We custom make all patio enclosures onsite to fit your needs and spaces. Aluminium is used to frame the area which is then enclosed to your desire. 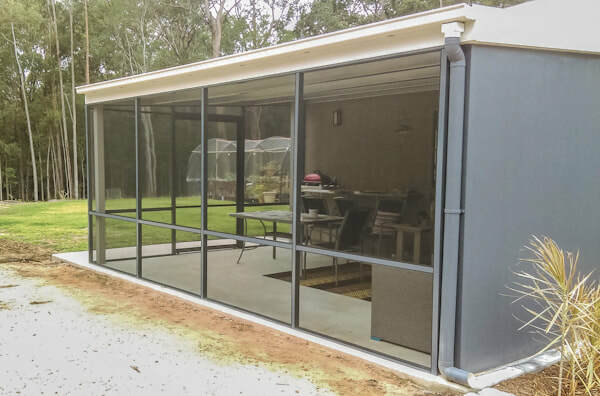 Enclosures can be all mesh to maximise airflow or can incorporate glass and aluminium panels to provide greater protection against the elements. ​Doors are incorporated into the enclosure and can be either sliding or hinged.